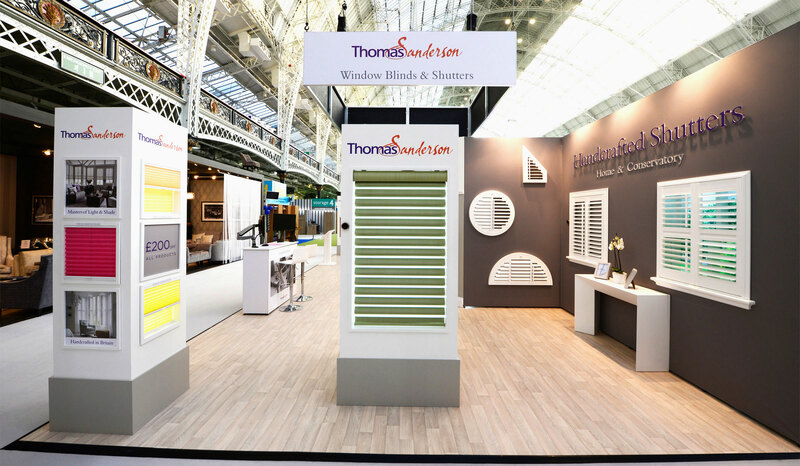 We were charged by blind and shutter manufacturer Thomas Sanderson to create a new display stand. They needed an exhibition stand as handmade and bespoke as their products. Therefore, they came to the experts at the Octink Events team. 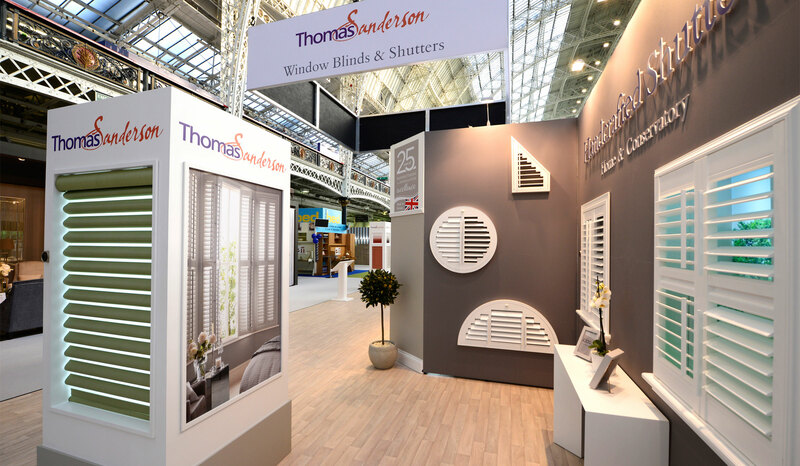 The brief was simple; to create a display stand solution for their 2017 series of UK exhibitions. The stand however needed to be thought out slightly differently. The nine locations Thomas Sanderson were exhibiting in had different spaces and varying restrictions. This meant that the stand needed to be flexible to these spaces. Therefore, we opted for a modular design. To clarify, the stand is built from different sections that can be added and removed from venue to venue. There are many advantages to this type of stand. Firstly, set up and pull-down times are greatly reduced as the stand easily packs down into its modular sections. In addition, it can travel easier and fit various shows throughout the schedule. Our client was thrilled with the end result. 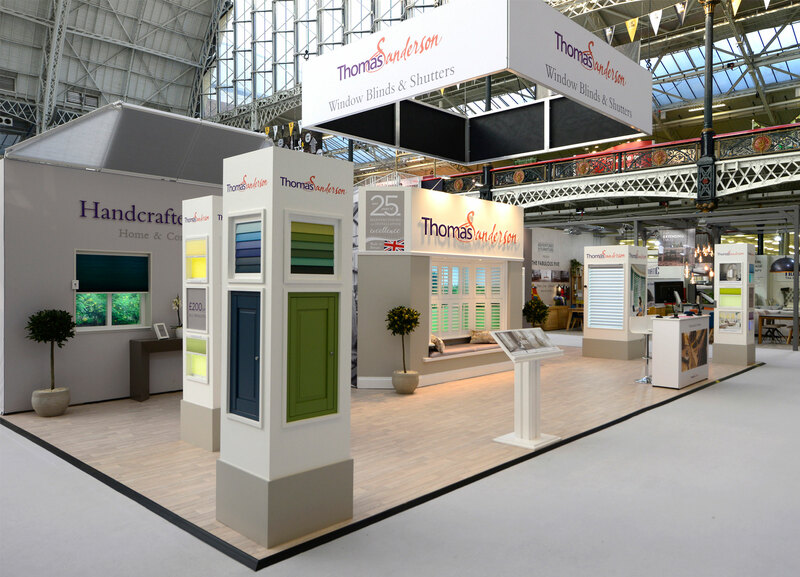 A professional and unique looking exhibition stand, perfect for all nine UK shows. In addition, they were happy with Octink's end to end service. We brought concept designs to life in every sense through our flexible and creative expertise. 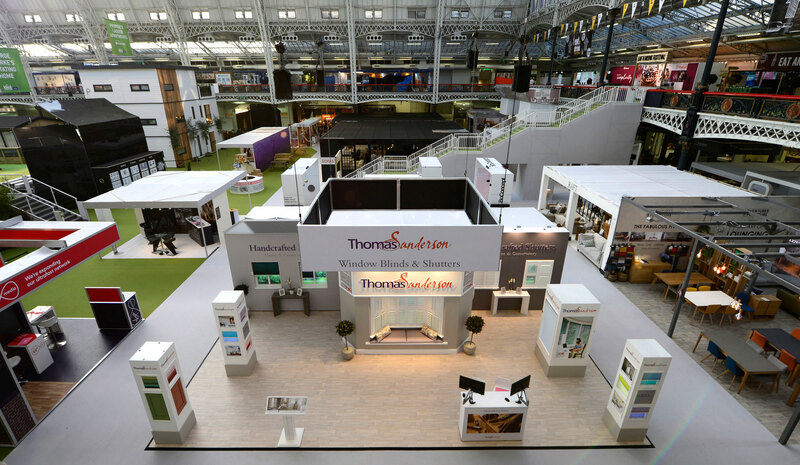 Do you have an exhibition or event coming up? If you're in need of a stand, of props, or signage or graphics - we can help. Don't hesitate to contact us here to talk about your next project.